"Mrs. Helen B. Seaver of 214 Godwin Avenue, Ridgewood, will receive $24,435, representing the net estate left by her husband, the late John E. seaver, according to an appraisal made by the New York State Transfer Tax Department today. "Seaver died on July 7, 1940 as the result of injuries suffered when he stepped into the path of an Erie train at the Ridgewood Station. He was 59 years of age, a member of the New York Produce Exchange, and a member of the firm of Seaver & Seaver. At the time of his death, he resided at 46 Monroe Street, Ridgewood." 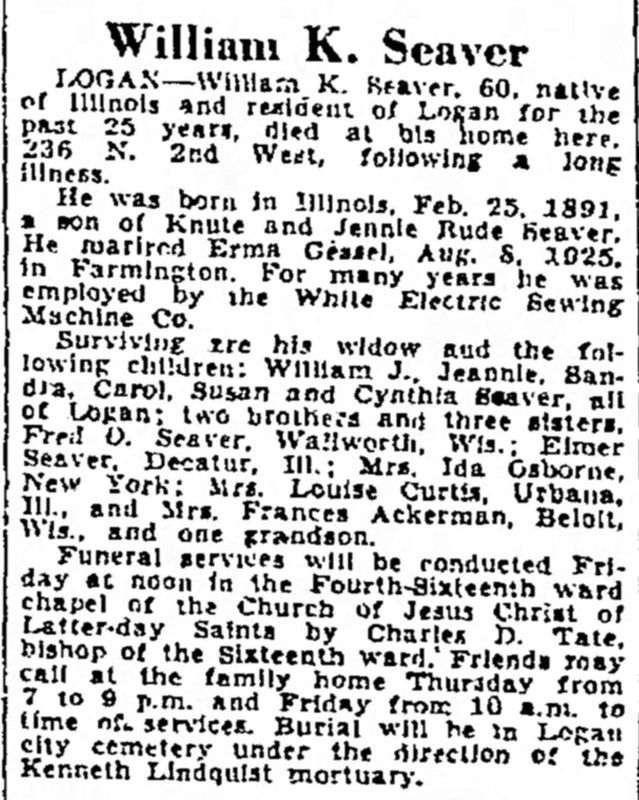 "Ridgewood Widow Inherits $24,435," The Record [Hackensack, N.J.] newspaper, Wednesday, 13 August 1941, page 3, column 3, Helen B. Seaver article; Newspapers.com (https://www.newspapers.com : accessed 24 January 2019). 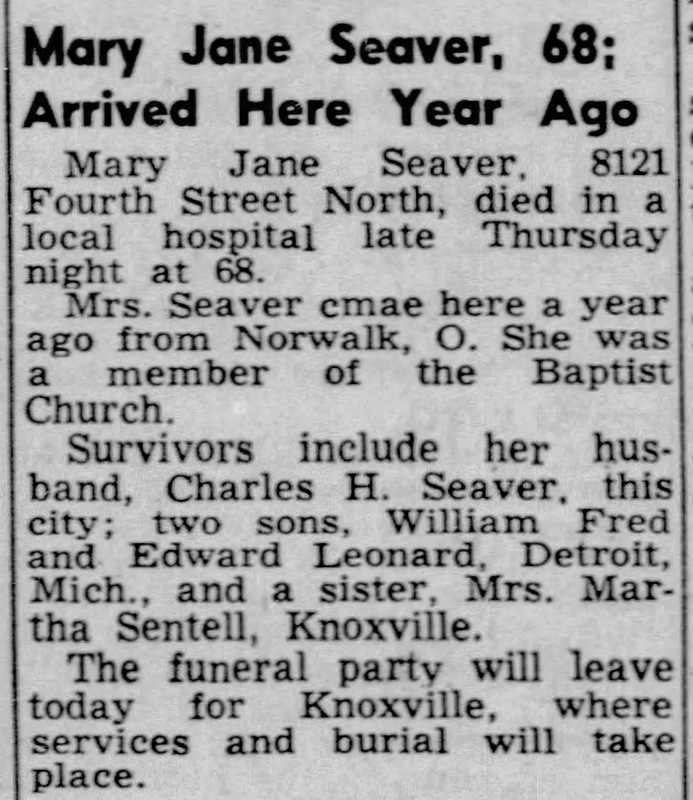 This obituary is virtually family history free, with the exception of naming the widow and her husband, who died after being hit by a train on 7 July 1940. 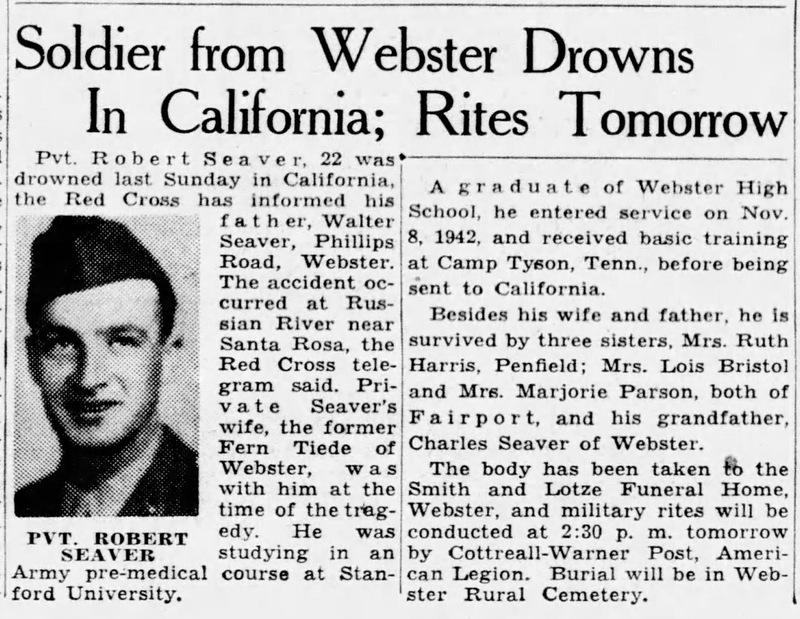 John Elliott Seaver (1880-1940) was the son of Richard Adam and Eliza Maria (Barber) Seaver. He married Helen Elizabeth Benson (1895-????) on 15 December 1915 in Hartford, Vermont. They had one son, Philip Henry Seaver (1920-1999). I have these persons in my RootsMagic family tree, but I did not have the cause of death for John Elliott Seaver.